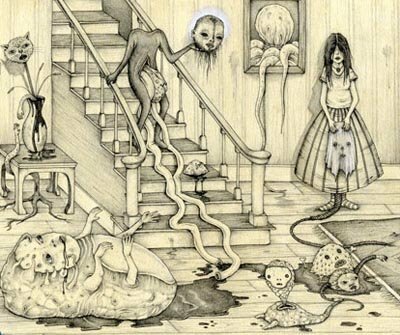 Here are some really amazing drawings of very unusual environments. I was amazed by the grotesque and surreal nature of the works displayed here. Check out this gallery of the work of Roland Topor I recently found thanks to a link through LeWUB.